Power consumption in Macau hit a new record high in 2016, increasing by 5.8 percent to 5,255 GWh. 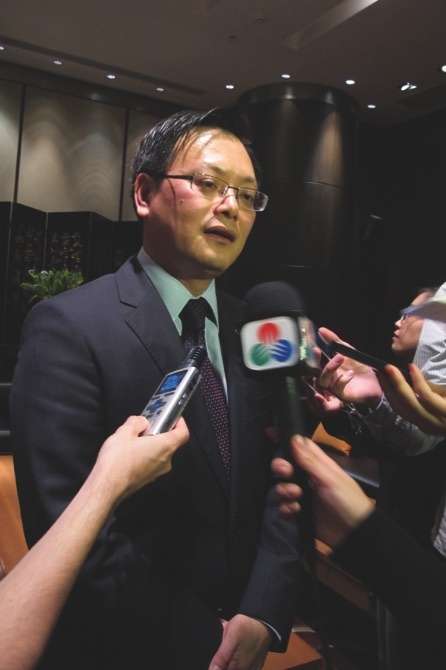 Bernie Leong, Chairman of Companhia de Electricidade de Macau (CEM) Executive Committee, attributed the increase to the opening of new integrated resorts in Macau, during the power company’s media spring lunch yesterday at Wynn Palace. According to data released by CEM, the cost of local power generation was lower than that of imported electricity from the mainland, leading to an increase in local power generation by 4.3 percent in 2016. However, local power generation only accounts for 15 percent of total power consumption of Macau. Power imported from mainland China in 2016 increased by 6 percent, amounting to 82 percent of total power consumption. Reviewing the utility company works during 2016, Leong said that in order to improve the power supply in old districts, six new transformer substations were built: three at Rua de Cinco de Outubro, one at Rua da Praia do Manduco, and two at Taipa’s Rua do Cunha. CEM set up more electric vehicle charging stations in 2016. According to the company, a total of 71 such stations are now available in 18 public car parks in Macau. Assuming that more power is needed in Macau, Leong said that a third interconnection with China Southern Power Grid will be built, increasing total capacity by 33 percent. He also said that they expect to demolish the Macau power plant within 18 months.